IAM/NFFE Local 2424 Veterans Committee members took part in the annual Veterans Day Observation ceremony in Aberdeen, MD. 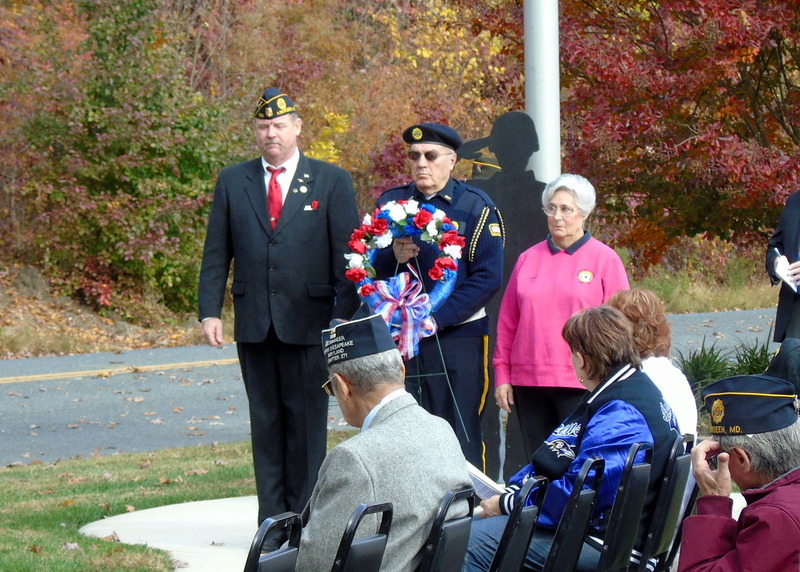 Committee member and American Legion Post 128 Commander Andy Powell laid a wreath at this year’s ceremony honoring the men and women who served in our nation’s military. Powell was joined at the event with Local 2424 Veteran’s Committee member Richard Davis, who is also the American Legion Post 128 Sergeant at Arms. Both Powell and Davis are working to grow the Local 2424 IAM/NFFE Veteran’s Committee. Major General Kirk Vollmecke of Aberdeen Proving Grounds was the keynote speaker at the annual event, which is jointly put on by the American Legion Bernard L. Tobin Post 128 and VFW Post 10028.